On Sunday the 17th of February we are releasing released a major upgrade that will introduced -amongst others- the Price Rules module. An interesting and handy feature is that each Price Rule can be exported to various formats and will include the final prices (based on the Price Rule formula) of the products included in it. This setting will be set by default to all our existing users so as to ease the transition to the upgraded Megaventory system. Then, each administrator can change -per account user- the setting as needed. 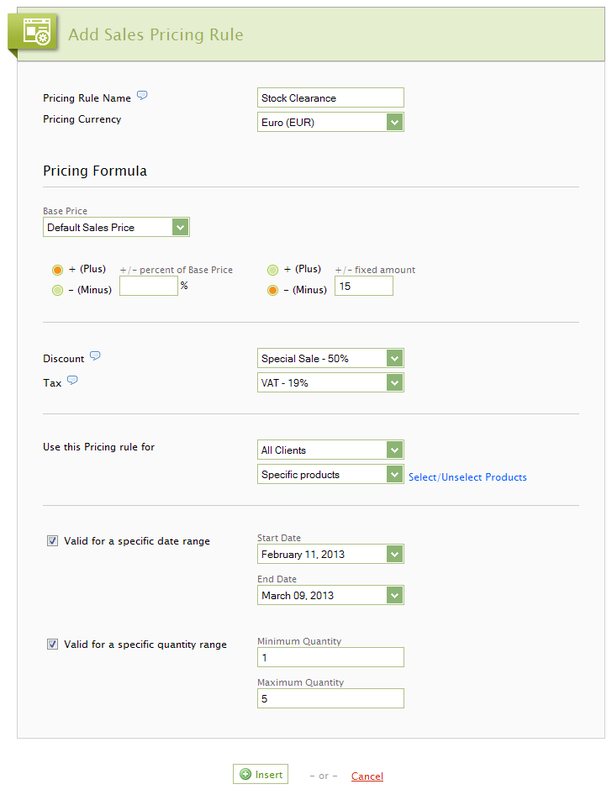 When creating a document, the user can see the Price Rule applied (per product row) by placing the mouse pointer over the price. 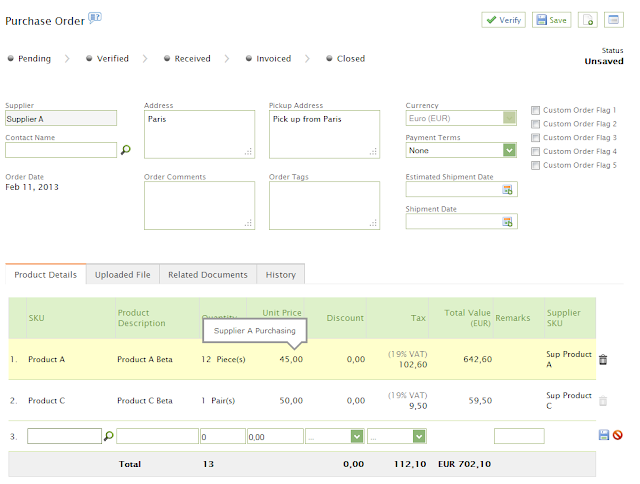 In this upgrade we introduce the notion of Default Purchase Price and we also link the products to multiple suppliers. 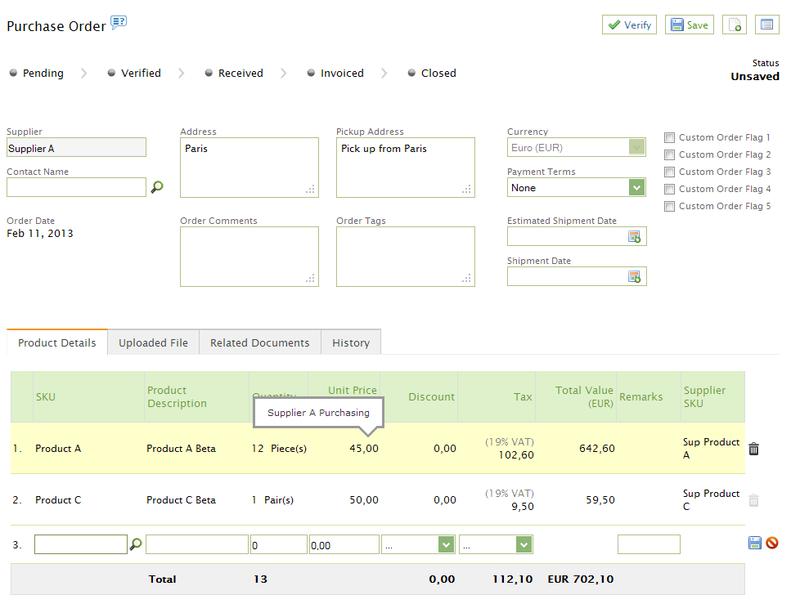 Prior to the upcoming upgrade, each product was bound to only one main Supplier and to only one supplier price. 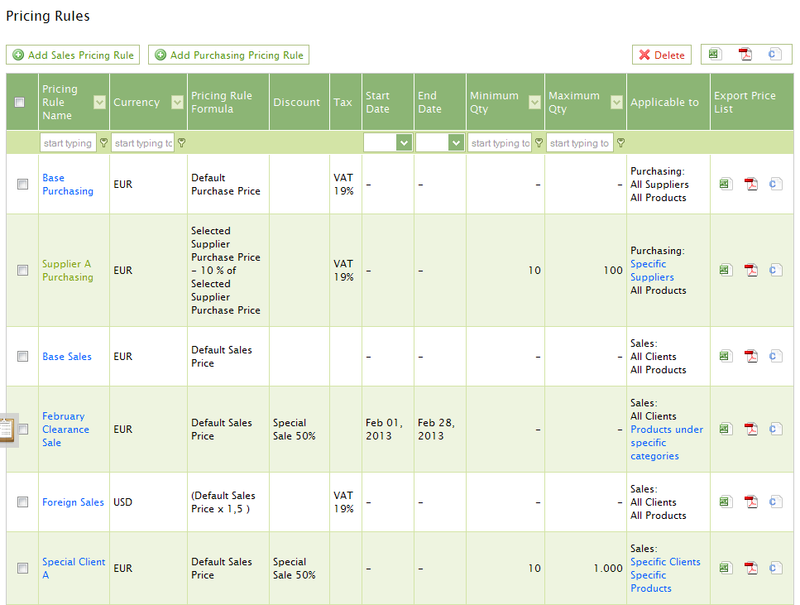 With the upcoming upgrade, a product has a main Purchase price and multiple supplier prices (one for each supplier). Finally, we are fixing fixed more than 35 minor bugs that have been reported to us!